With over 1 billion active users and counting, it’s no secret that Instagram has rapidly become a major tool for businesses looking to drive tangible sales. From simple advertising options to shoppable post features, it’s now a platform that can help you find and meet your customers—right at their fingertips. But how can you start reaping the benefits for your business? 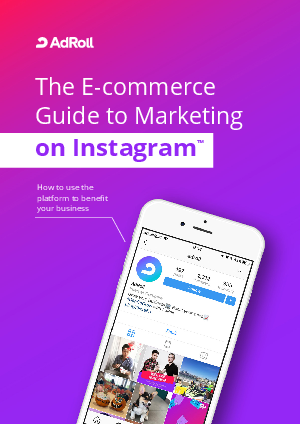 In our new guide The E-commerce Guide to Marketing on Instagram, you’ll find the latest tactics around building awareness, growing your community, and reaching users at every stage of the buyer journey. So, if you’re ready to harness the power of Instagram to take your business to new heights, download our handy guide today.